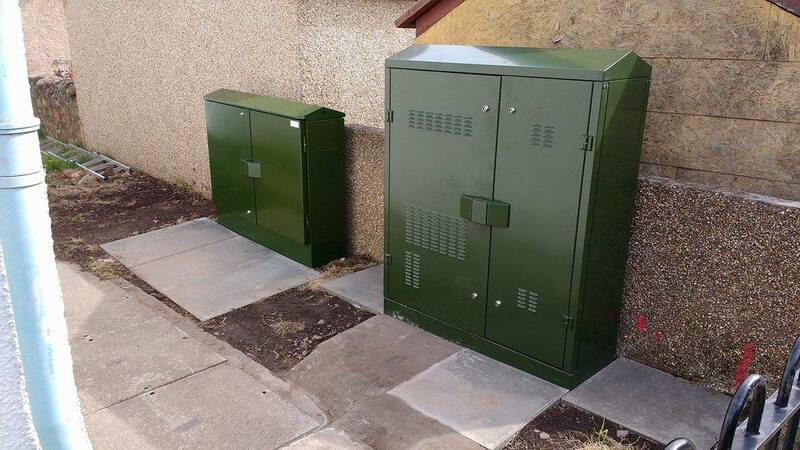 Over the last few weeks, visible progress is being made to the long running Coldingham broadband story. A new fibre cabinet and a new PCP cabinet have appeared outside the telephone exchange near the doctors surgery, and after the roadworks last week, it looks like it is also now connected to power. 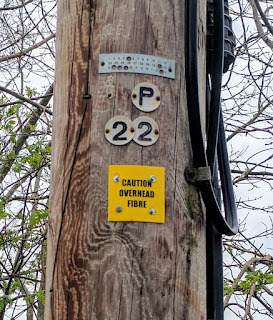 Unfortunately, the position of the "fibre" cabinet means that only those residents in the centre of the village will get the fastest speeds via FTTC. The progress website from Digital Scotland is also now updated to show the correct stage of the build, after it was stagnant for a long time and I prodded them! As I write, it currently shows that we're at the "Connect" stage. 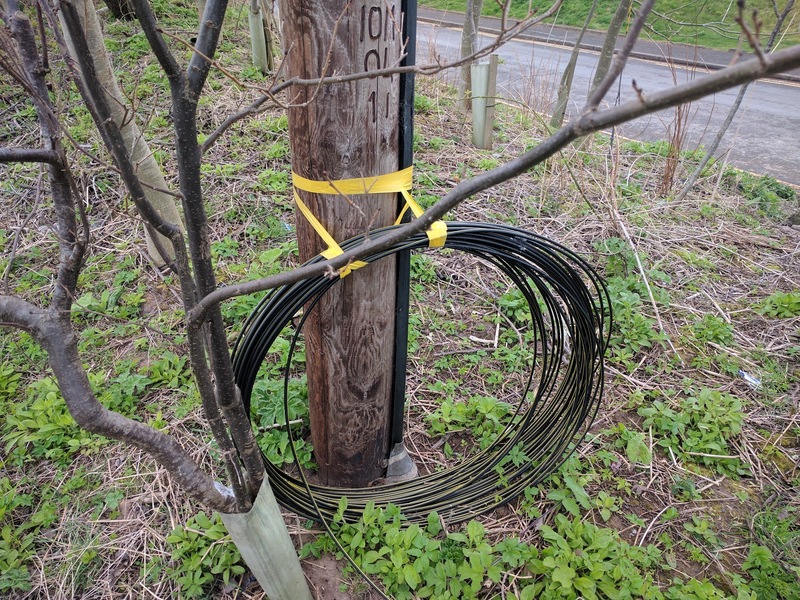 There's other evidence around the village for eagle-eyed broadband spotters! This picture was taken close to the Coldingham Bay beach carpark, opposite St Vedas. 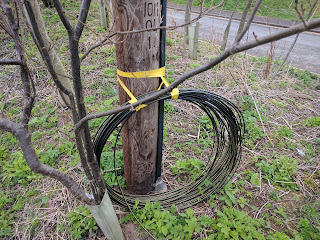 It shows fibre tubing (the tube that real fibre optic cable gets "blown" though) coiled at the base of a pole. 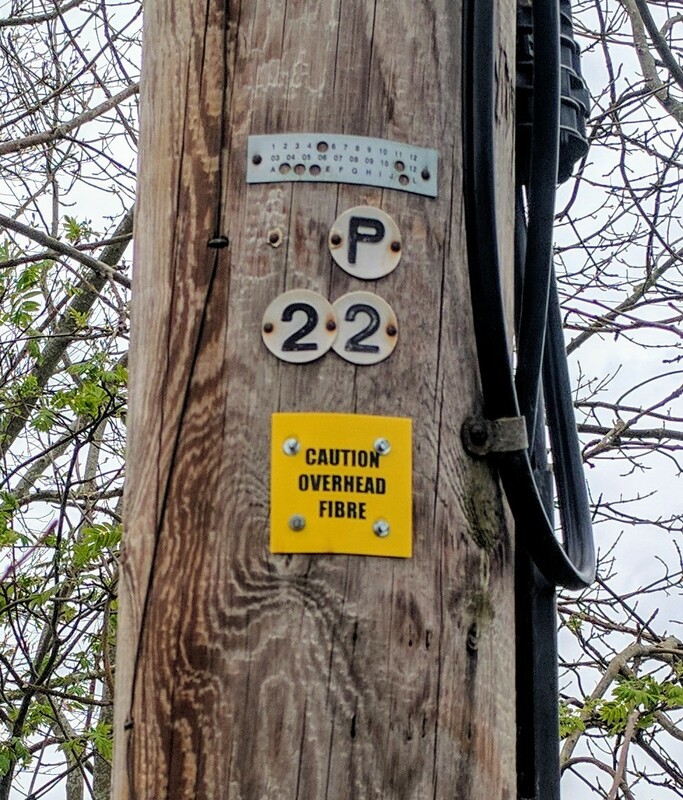 It looks like certain properties in that area will be getting full-fat fibre to the premise (FTTP). Lucky them! Interestingly, and possibly related, it seems like Vodafone now has a much stronger 4G signal in the village, and I hear reports that Three also has 4G signal now too. Let me know if you see any further progress!